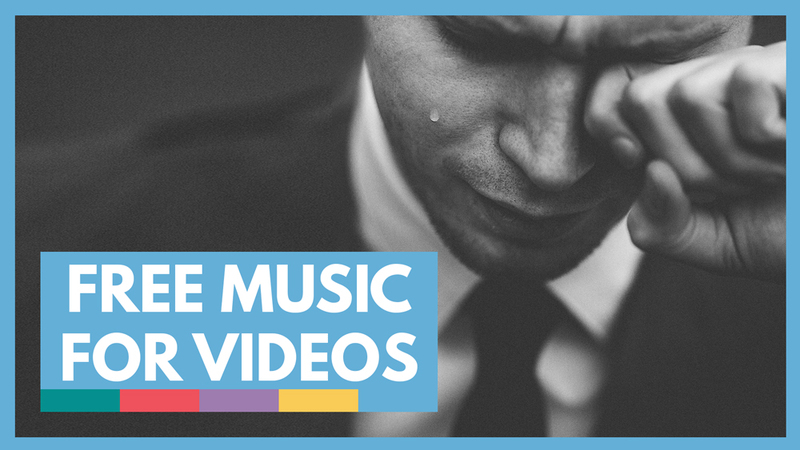 Here are our favorite online resources with free music that you can use in your videos. If you’re an editor, you understand my pain when I say that I absolutely hate trying to find the right song for your video project. I’ve spent a decent part of my better years clicking through crappy music tracks. Nowadays, I typically purchase $15 -$19 songs from AudioJungle where you’ll typically find higher quality music that isn’t on every other YouTuber’s vlog. I also understand your pain as a new video creator without a budget, being tasked with finding a Hans Zimmer worthy piece that will make your audience cry and laugh… for $0. I’ve searched through many of the free music archives online, and here are my favorites (and not so favorites). Important: make sure you confirm that the songs you use are free to use and whether you need to credit the musician or not. These sites can change, and it’s up to you to prevent forest fires… I mean, to follow the laws. If you have a YouTube account, you have access to hundreds of songs and sound effects for your video projects. Some require attribution (meaning you have to credit the artist in your video), while others are free to use without attribution. Many of the most popular songs will be found all over YouTube, but the reason I put the YouTube Audio Library at the top of my lists is that the quality is actually pretty good. Sure there are some songs that sound like they were made by an algorithm, but I’ve found quite a few gems on there as well. You can even use the music for your commercial or non-commercial projects off of YouTube according to this thread on Quora. There actually used to be language on the official documentation from Google about being able to use the music off of YouTube, but they’ve taken that language out. Anybody who’s been scraping the internet for free music since the mid-2000s has probably landed on Incompetech. They have hundreds of copyright free tracks as well as some that you have to pay for. Check out their license info here. You are required to credit Kevin MacLeod, the creator of this music. More info on their FAQ page. If you’re ready to do a little video creator’s version of dumpster diving, the Free Music Archive library of music is where it’s at. Okay, that may be a little harsh but this is one of the places I’ve spent a lot of time, and always came up empty handed. While my dumpster diving days are over, I popped over there while writing this list and did find a few decent worldly tracks. So I might have to give it another try. If FMA is dumpster diving, CC Mixter (or rather dig CC Mixter) is like digging for treasure. It may take a bit of muscle, time and whiskey – but you might just find the next song for your cat montage here. The music is free for commercial and noncommercial projects, granted you give credit to the artist. Musopen has hundreds of songs in the Public Domain – meaning they are free to use for any of your projects. Many of them are classical / instrumental, and they’re pretty good! The musician behind the quite confusing Matt Daaaaaamon Bourne Series has had a site with dozens of great songs that are all available for free – for non commercial work. You will need to submit an application with your project title and info. Then you may or may not be granted a license. I’ve used it in the past for some independent films. And it’s Moby, so it’s basically awesome stuff. But it’s not super easy and fast like you’re probably hoping for with our rapid clicking freebie freebie obsessions. Freeplay Music is one of my new favorite sites for YouTube videos. There are quite a few strings attached though. Songs are free to use for personal use in non-revenue generating videos that are on YouTube. This means you can’t use them in videos that promote a business. Read all of their licensing rules here. Here’s another new favorite site that has mostly icons, but also a handful of songs. This means that you’ll have the same music as the other 42 people who visit my website. But the quality is decent. They require attribution as well. This site has another set of free songs that you can use in your projects as long as you attribute the song to them. They also have songs you can license for a price, but unlike many of the other sites – they have an easy-to-find ‘free tracks’ link at the top which is very nice. Thanks guys! This site has over 400 free songs for any of your projects. You know the drill though, they require attribution. I like FreePD because it’s all 100% free, no attribution required. Soundcloud never grew to what many in the music industry expected, but it’s still a great place to find up and coming artists with new music. The issue is that Soundcloud music isn’t really free to use in your videos without asking. I lied. But it can be free. This guy, Eric, says all he does is ask the artist and 90% of the time they agree. It may be worth the time and effort for something a little unique. I never understand this site. This site is listed on all of the other free music for videos lists out there (yes, I do my research). But seriously, I’ve never understood where to get the free music! If someone can explain to me how it works – please let me know! This site has free music loops that you can use in your YouTube videos or even commercial projects. They just ask that they credit them. With the best website name on the list, Fruube is another place to find free music for YouTube. They can only be used in personal projects that don’t promote a business, product or service. Shout out to FreeSound.org for a decent place to find sound effects. Like all of these sites, you may have to dig a little to find something that wasn’t recorded with a yak bak. There are quite a few other sites out there that have free music for your video projects. But these are the only ones I thought were worth mentioning. Now it’s time to start your search. Please comment below with any other free resources that you would highly recommend! Note, I said highly.